All new patients are introduced to our practice through a comprehensive examination done by Dr. Filo, Dr. Donatelli or Dr. Ross. This initial visit or New patient exam will be comprised of an oral cancer screening, an examination of your gums to diagnose periodontal disease (also known as gum disease), temporomandibular joint to evaluate any abnormalities, and an analysis of your overall dentition for existing restorations, active decay and occlusal wear. If you have an emergency, we will diagnose and render treatment during your first visit to our office. At the end of your New patient exam, your doctor will discuss any pertinent diagnosis and recommend treatment accordingly. You and your doctor will discuss in detail each treatment recommended. Any questions you might have will be addressed prior to commencing any treatment. 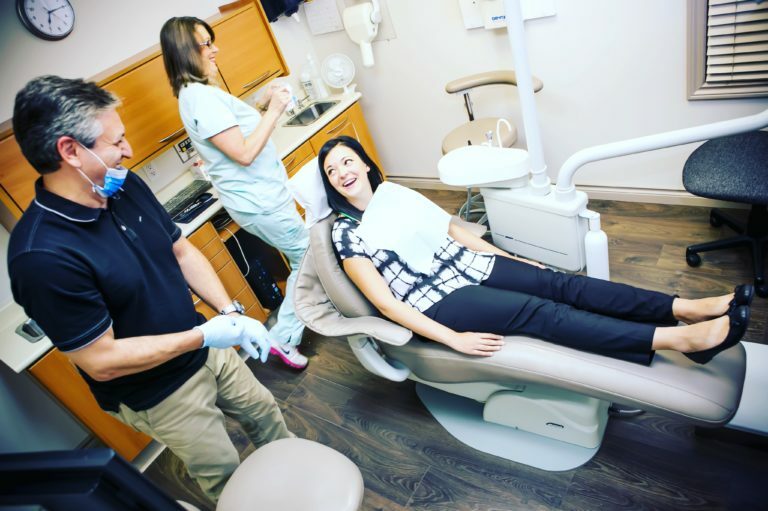 In cases where treatment is more complicated, a second consultation appointment will be booked for you to review and further discuss and stage treatment. Generally, consultation appointments are at no charge to our patients. If your previous dentist has taken x-rays and they are diagnostic, you may request that they forward them to our office. If there is not enough time, please have them emailed to info@queenstreetdental.ca prior to your new patient visit. If additional films are necessary, they can be taken at our facility. IMPORTANT: A parent or guardian must accompany all patients under 14 at visits.